Visit the Location Where Arnold Schwarzenegger Fights Against Alients in the Movie "Predator"
Our Canopy El Eden tour is made for the true adventure and nature enthusiast. 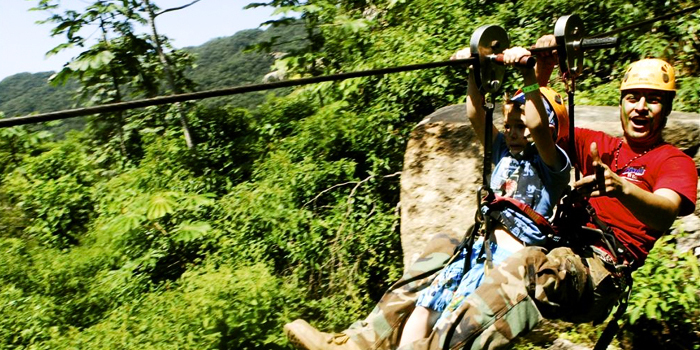 The tour takes you out to one of the most beautiful, lush, and dense forests in all of Puerto Vallarta. 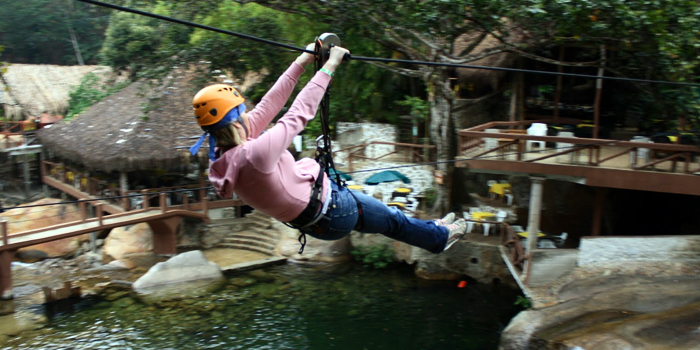 Here you will zoom down a series of zip lines at over 30 miles an hour. The wind will hit your face, your feet will dangle above the forest canopy, and you will be amazed and awed at the impressive array of trees and flora that make up the forest. This Canopy El Eden forest was used in the hit movie Predator with Arnold Schwarzenegger. On our zip line tour you will see just why the director decided to use this forest. With its massive trees and dense forest canopy, you will get a sense of being out in a desolate and primitive forest. 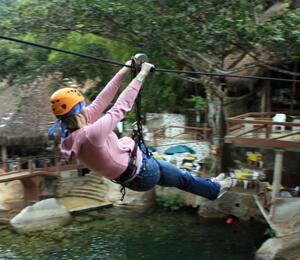 This will be one of your more unforgettable experienced in Puerto Vallarta. Don't forget your camera and make sure to ask about the tequila tour where you will learn how various types of local tequila are made as well as getting the chance to sample them! Q. How many lines are there? A. Currently there are 12 exciting zip lines. 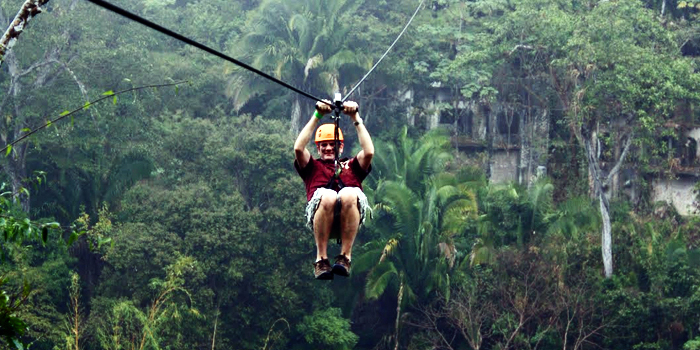 Canopy Tours Puerto Vallarta is always interested in your tour experience with us. We hope you enjoyed your tour and love to hear comments. I have been to the Bahamas many times, but Canopy El Eden is one of my favorite trips! It includes everything that everyone should do here. As a Bahamas veteran, I can say only the best about this experience!